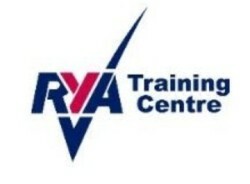 This weekend the RS Vareo Nationals are being held at Bassenthwaite, the home club of the defending champion, our own Vice-Commodore Mark Somerville. The wind forecast is light, unfortunately, so will the lightweights have an advantage. Of course, there is the Bass micro-climate factor, so anything could happen! Sunday’s forecast promising better wind strengths turned out to be all but false hopes. Club sailors took to the water and eventually started but the wind direction and strength was variable leading to all points of sailing, on most legs, with greatly varying wind strengths! As for the Vareos, one race started, but abandoned, due to both legs being a beat, run and reach at the same time so the results remain as Saturday evening. Monday’s forecast was good for sunbathing, sailing wise we’d have to wait and see… Perhaps the sailors will have more luck at the bingo this evening – well Peter Ballard certainly did as he won! The forecast was right – sun, no wind, and consequently no sailing. So the results stand as Saturday evening and Scumper retains the title of RS Vareo National Champion! In club sailing, after a bit of a wait, two races were sailed back to back, and some of those that would not have otherwise sailed due to the Vareo Nationals were able to partake. In the F15s, Ian/Lezli-Ann took another two wins and won the Flying Free Trophy with 3 points, ahead of Graham/Sally who had won the first race after some consistent sailing. 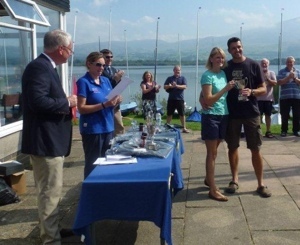 Joan/Jack won the handicap fleet August Trophy with Steve/Ruth 2nd. Alastair, eager to get on the water after two days waiting for wind, had a great winning performance in the final race. The GPs only sailed three races, all of which were won by Dave/Lynn/ Val/Ken’s two 2nds from Saturday were sufficient to earn them 2nd overall.